If you have been following my blog and social media for a while, you will know that Gucci is probably, my favourite brand at the moment. I own a few of their pieces and I must say, they're some of the best pieces I own. Not only are they incredibly stylish and beautiful, but the shoes are so comfortable they feel like slippers. 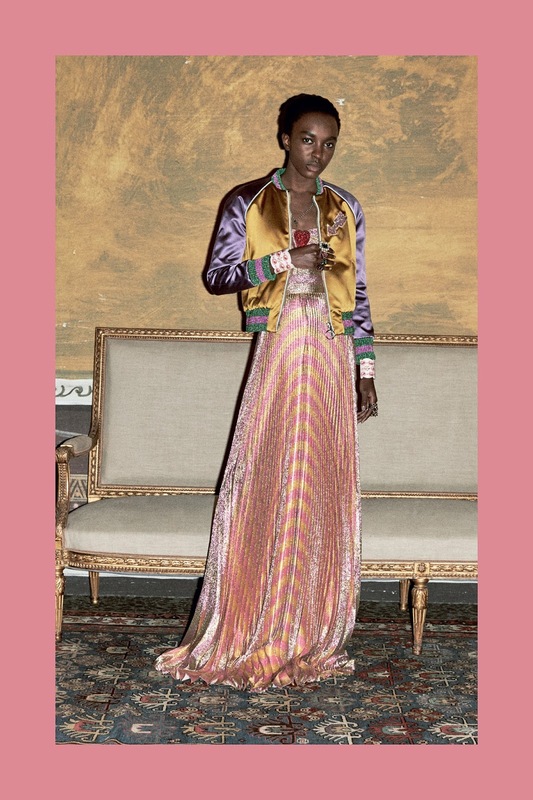 I've become such a huge fan of Gucci since Alessandro Michele was appointed creative director of the brand in January 2015. He had introduced himself with an amazing Spring/Summer 2016 collection (which I have wrote about before) and it has given a whole new rebranding of the brand. I feel that his designs for Gucci aren't just clothes but a form of art. He puts his creative ideas into full potential when it comes to Gucci and I absolutely love his influence on the brand. I just keep wanting to see more and more. The looks for this Pre-Fall 2016 collection was joined by so many decorative features - including butterflies, tigers, flowers and nature. The collection is somewhat full on - but when it comes to Michele's designs, more is truly more. He is so creative with the looks and he just goes wild and carefree, creating these iconic looks which are being adored by many. 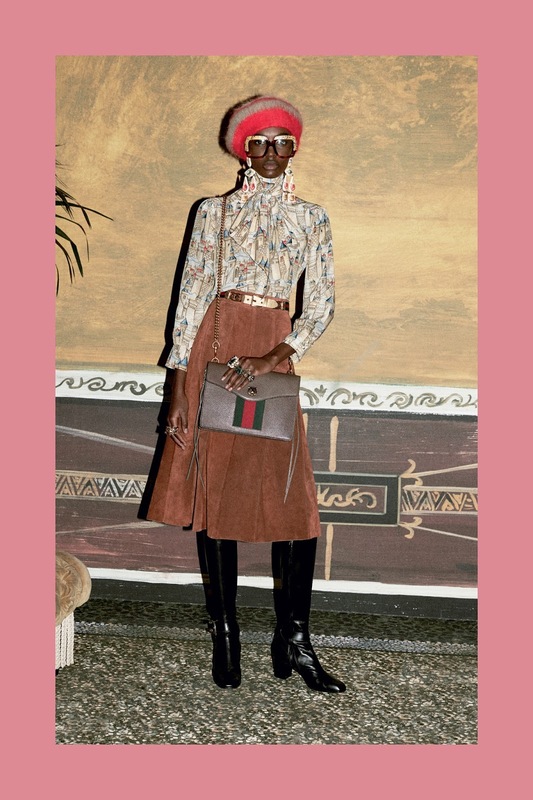 Not only has Gucci's loyal clientele been returning even with Michele's complete new rebrand, but, new clients have joined Gucci, being drawn in by Alessandro's unique and impeccable designing. 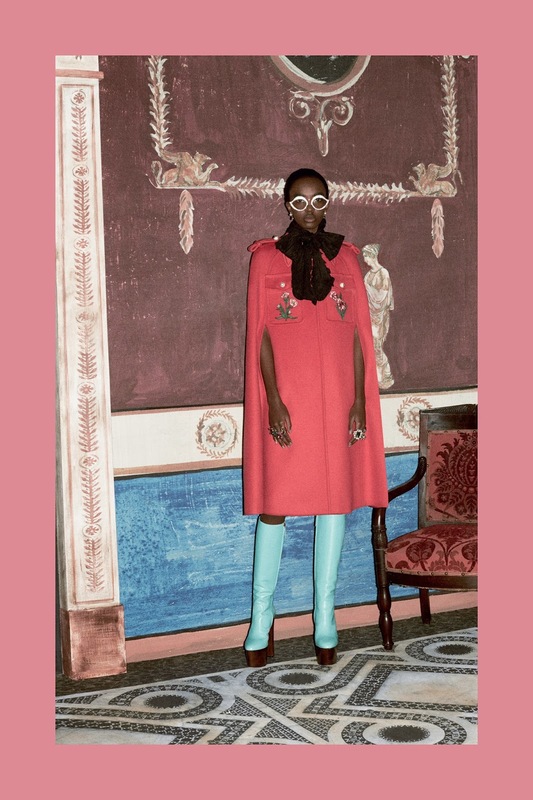 He makes cultural and historical influences of Italy collide with what I would call, classic Gucci pieces, to create a phenomenal set of looks which are made for the brave and stylish woman. 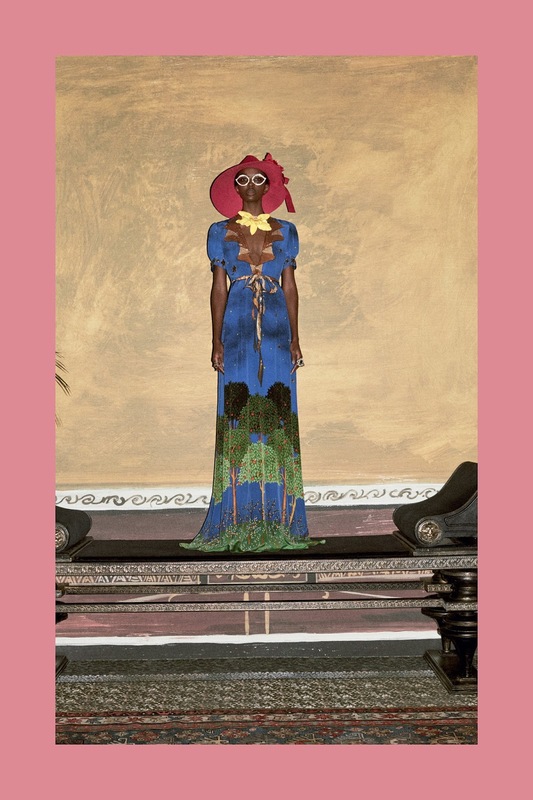 For these images, Alessandro collaborated with the artist, Ari Marcopoulous. I think the collaboration formed an amazing cookbook, which complimented both artist's vision with fashion and imagery. The photos were shot in a setting which was inspired by an old Pompeiian building. It really reflected the clothes so well and I loved how different the look book was to other brands. Alessandro truly is a genius. Beautiful and colourful fur coats were teamed with gorgeous dresses, different coloured tights, appliquéd jeans and of course - those 1000 inch tall heels ... which I can't wait to see in the flesh. A lot of the looks were embroidered, if not most, all. The whole collection screamed a 70s feel, which seems so popular in fashion, not just the season - but actually for a few years. 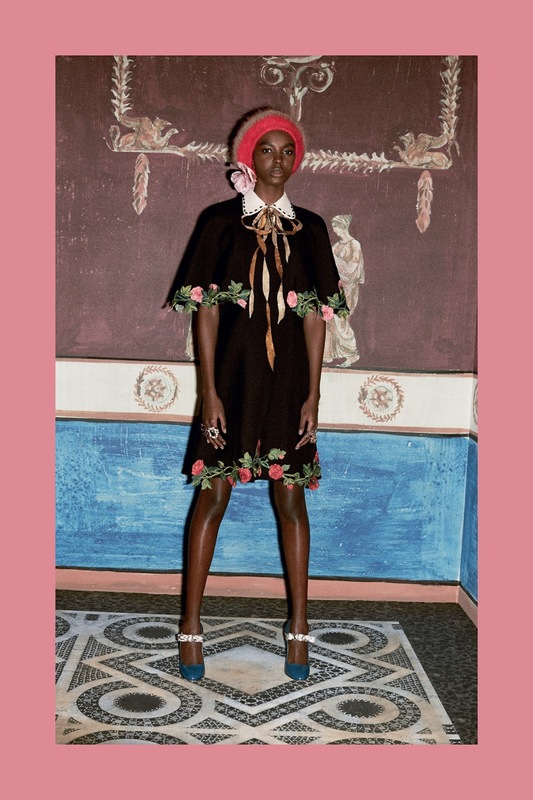 Except this 70s inspired collection was very loud and unique, Alessandro Michele style.